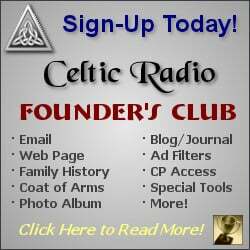 April 28, 2013 - CelticRadio.net - If you havent given Andrew McFaydens latest album entitled Turas a listen, then break out your headphones and prepare to be transported into a world rich with bold drum beats, trilling tin whistles, and hauntingly beautiful Gaelic melodies. McFayden, a Canadian born teacher began delving into his Scottish heritage in his early twenties, learning to speak and most importantly sing in the Gaelic language of his ancestors whilst attending Gaelic College in Cape Breton, Nova Scotia. 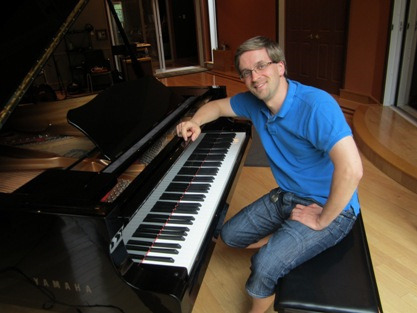 Andrew has been professionally singing since 2003 and acquired his skills with the piano and recorder from The Royal Conservatory while still a young man. As an adult Andrew who holds a Bachelor of Education, Master of Arts, Graduate Diploma in Education, and a Master International Diploma for Spanish Language Teaching; enriches the minds of his students teaching them Gaelic language and songs. He also serves as the BC Regional Director for the Atlantic Gaelic Academy. In addition to Gaelic, Andrew is also fluent in both French and Spanish. 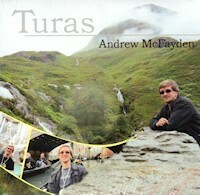 Turas is the fourth album to be released by the multi-talented McFayden. As further testament to the humble, yet lively music of this album, Turas has been selected Album of the Year right here on Celtic Radio. Bean Phaidein the fourth track on the album, was also voted Roots Traditional Song of the Year by our listeners. The album was recorded in Albaroom Studio in Prince George, BC, Watercolour Music of Ardgour, Scotland, and Lakewind Sound. The album title Turas can be translated to trip in Gaelic, and that is exactly what the tracks within offer. A trip, an escape into the heart of McFaydens Scottish ancestors, and a window into the passion he has for his heritage. 5 Gaelic Stars from Celtic Radio for a beautiful album of Gaelic Song and Melody!